Built in diffusion for a finished linear look. 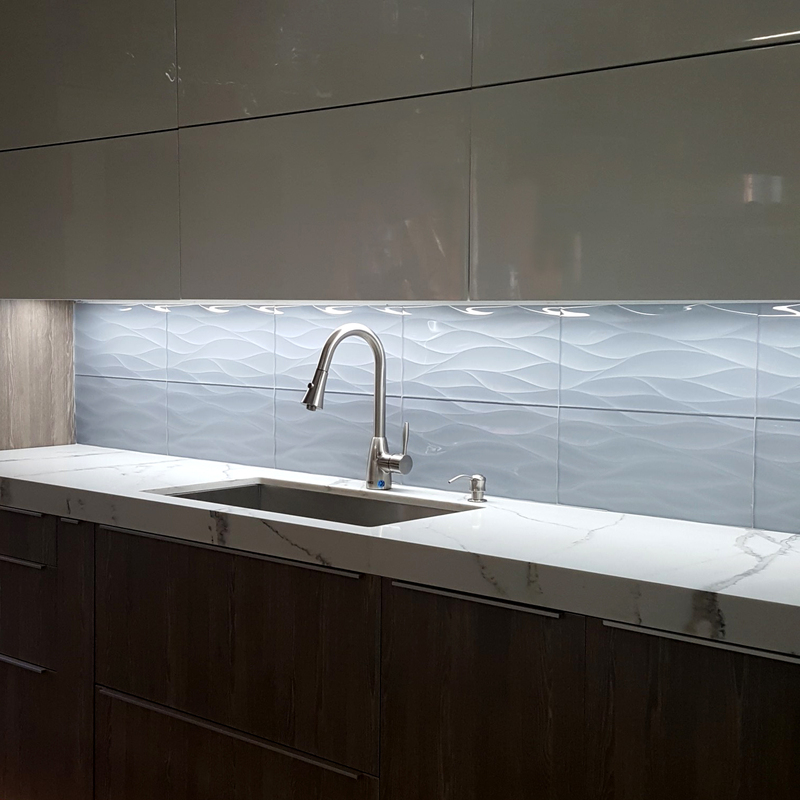 The Alumiline Diffused Lens Series offer a built-in diffusion lens making the fixtures ideal for providing a clean, finished look in kitchens, display and case lighting applications where the fixtures remain visible. 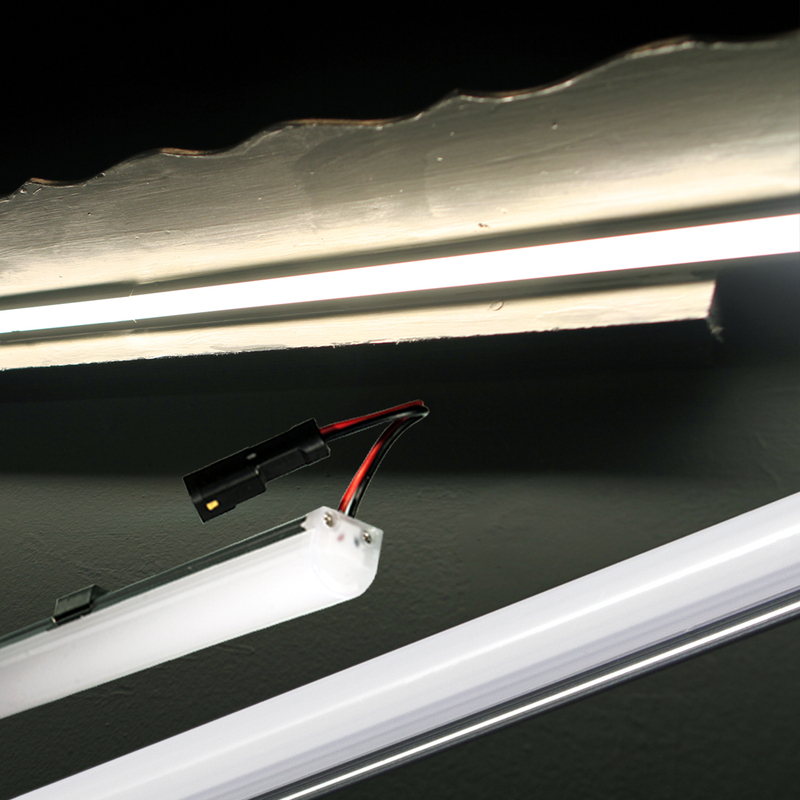 The diffusion lens eliminates pesky hotspots often experienced with bright linear LED light products. Operating at 24VDC, the ZWL Alumiline Diffused Lens fixtures are offered in two standard lengths – 20” and 40” and available in three shades of white - Cool White (5700°K), Neutral White (4000°K) and Warm White (3000°K). These fixtures are UL listed and water resistant with a rating of IP66 – the lens can be easily wiped off and can withstand water spray. Up to 16 linear feet can be operated in series and easy-fit connectors and accessories are available for the fixtures, simplifying installation. 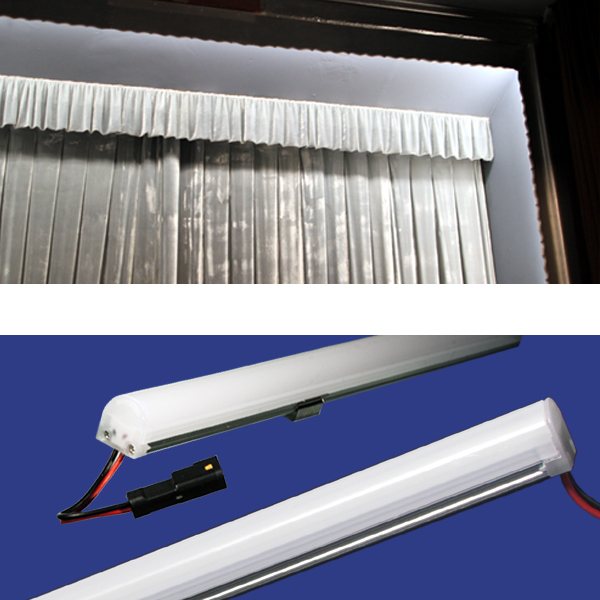 Select models of our Alumiline Diffusion fixtures are available for purchase on the JKLLamps.com website. For larger orders or other assistance, please contact our sales team.